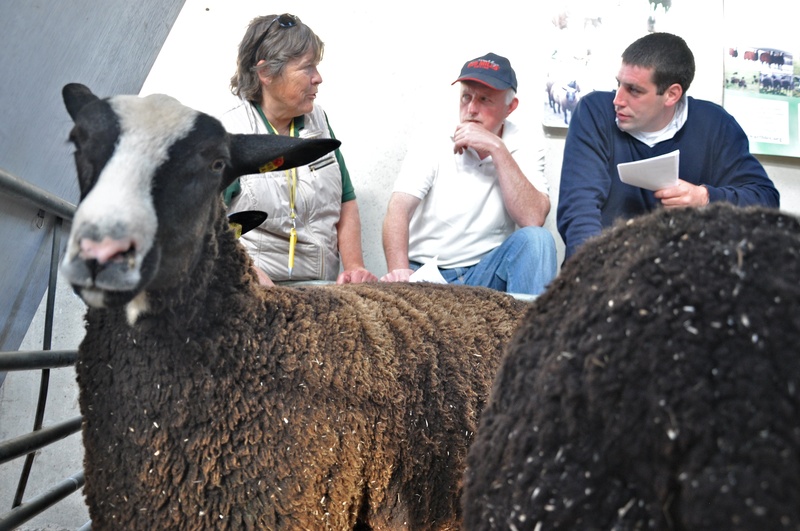 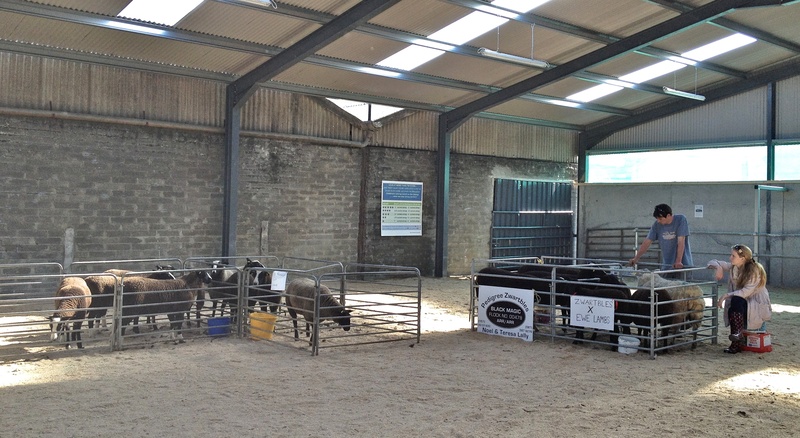 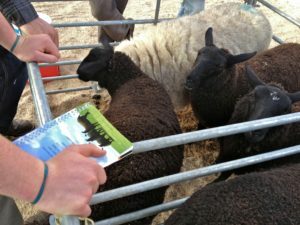 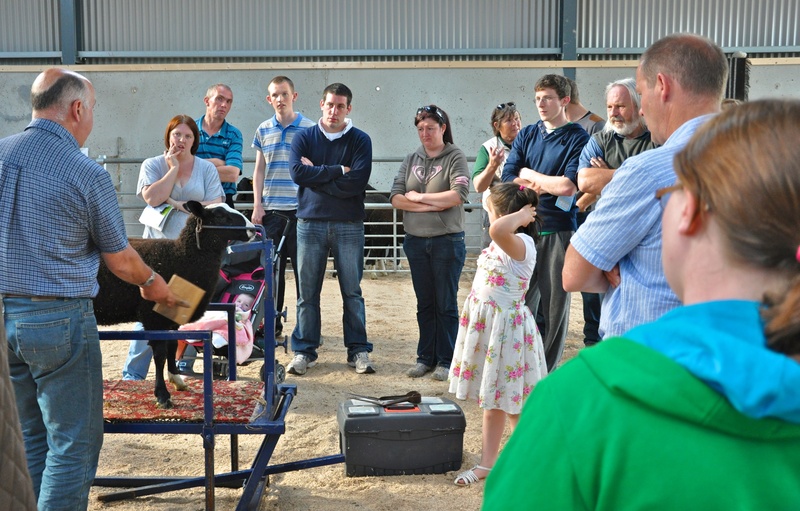 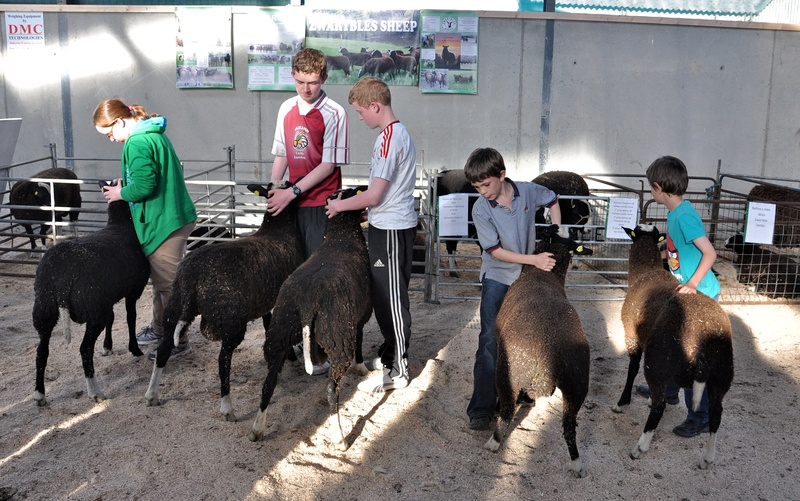 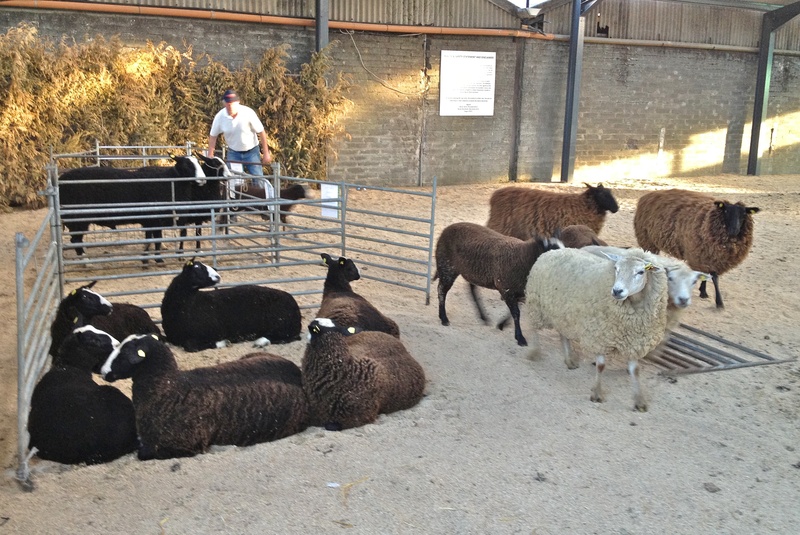 Southern Ireland Zwartbles Sheep Breed Society had an open day this last Wednesday the 19th of June from 6 to 8.30 at the Tullamore Mart in Co. Offaly. 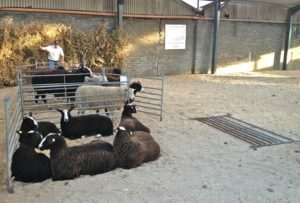 The evening started out with 5 breeders arriving early to set up their flocks for viewing. 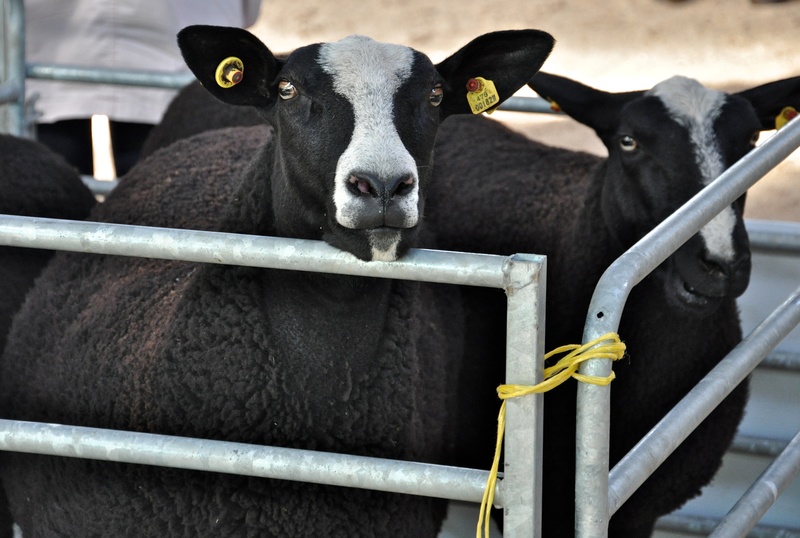 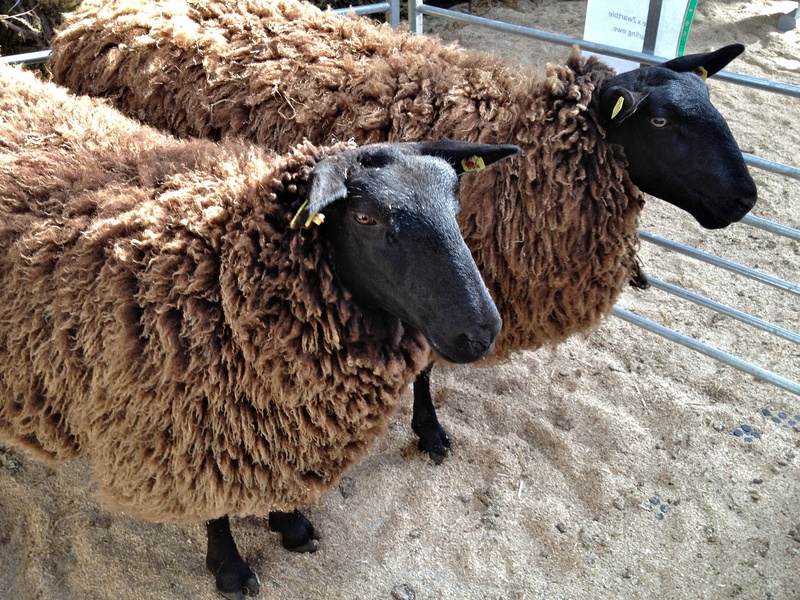 There were quite a few Zwartbles half breeds or hybrids for people to see what the different crosses looked like. There was a talk given by Steven Potterton of Sheep Ireland about how to get Zwartbles Rams graded for the Euro Star Rating system and Lambplus. 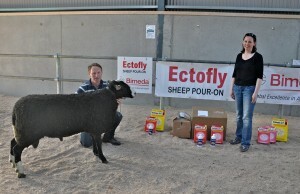 There was a beautiful stock ram from Francis Lyon’s flock Heathview 00847 bred by Judy Maxwell flock Chark 00406 called Chark Tiger, who modeled for us in front of the new sponsors banners. 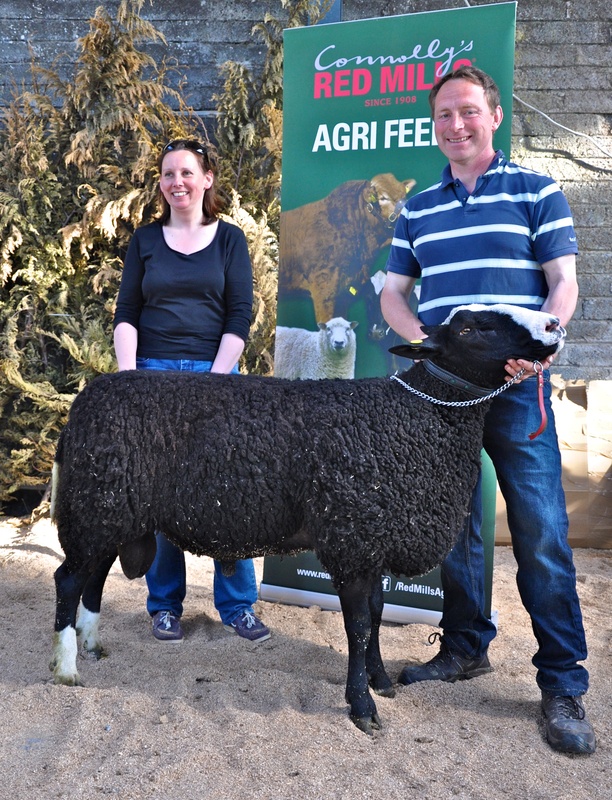 Red Mills are sponsoring Zwartbles classes at four shows this year, the Galway, Clonmel, Pilltown and Bonniconlon. 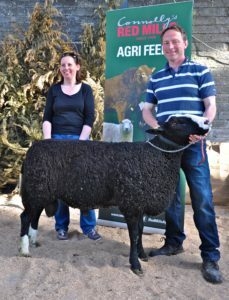 Francis Lyons is the Chairman for The Southern Zwartbles Sheep Breeders Society while Breda Horgan is the Society’s Secretary. 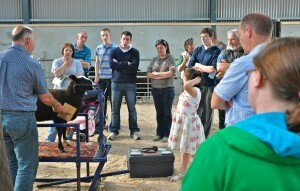 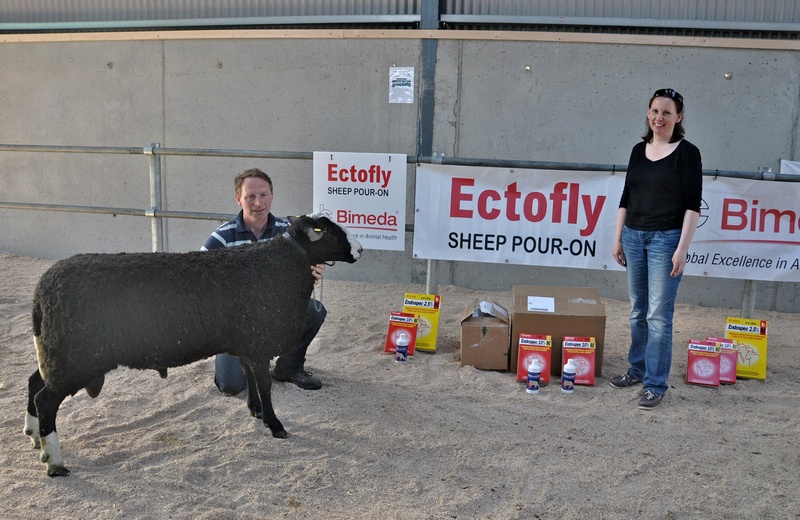 Bimeda will be sponsoring the All Southern Ireland Zwartbles Championships in Clonmel Co. Tipperary. There was loads of chat between Zwartbles sheep breeders from far and wide across Ireland; from Northern Ireland to Cork from Kilkenny to Galway. 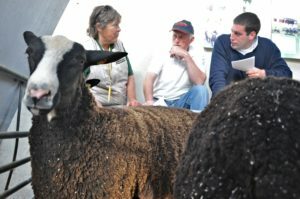 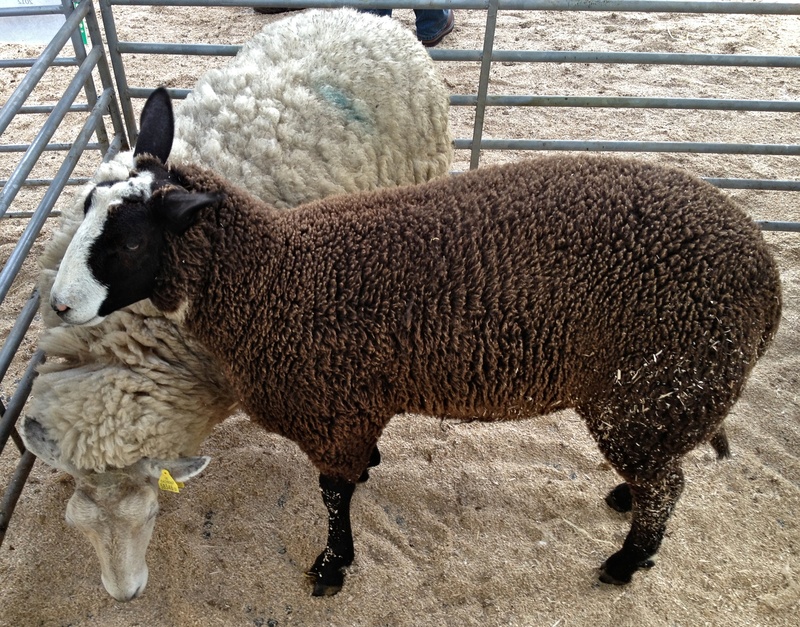 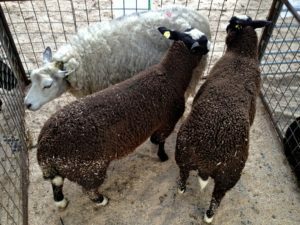 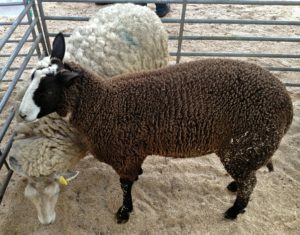 There was chat about the different Zwartble cross breeds & what qualities each cross would bring to a commercial flock. 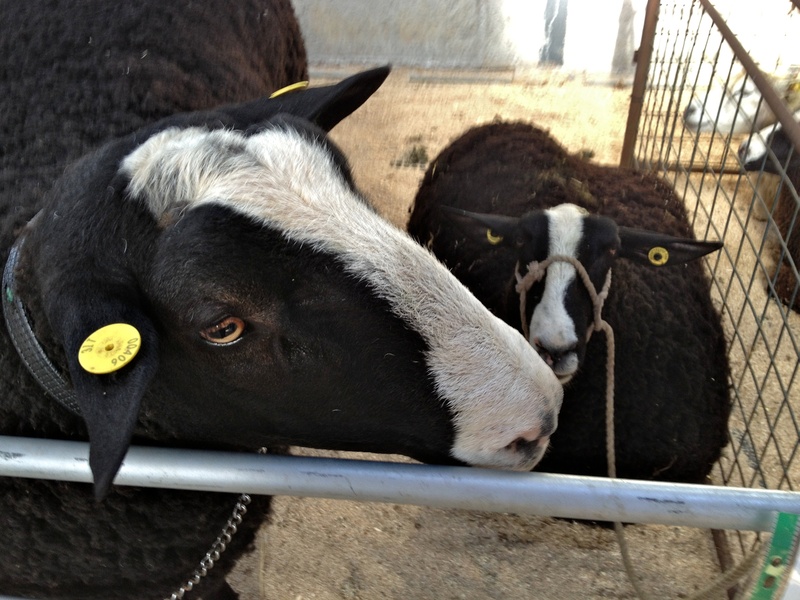 There was a very nice brace of Zwartbles hybrid hoggets one was out of a Texel ewe the other out of a Mule. 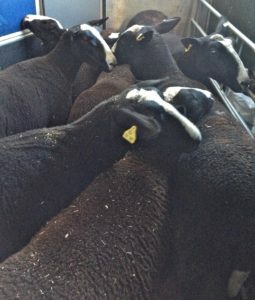 Clearing up at the end of the evening I was amused to see this group of ram lambs not move even when their pen had been taken down and only look on as the Charollais and Beltex ewes trot by with their young. 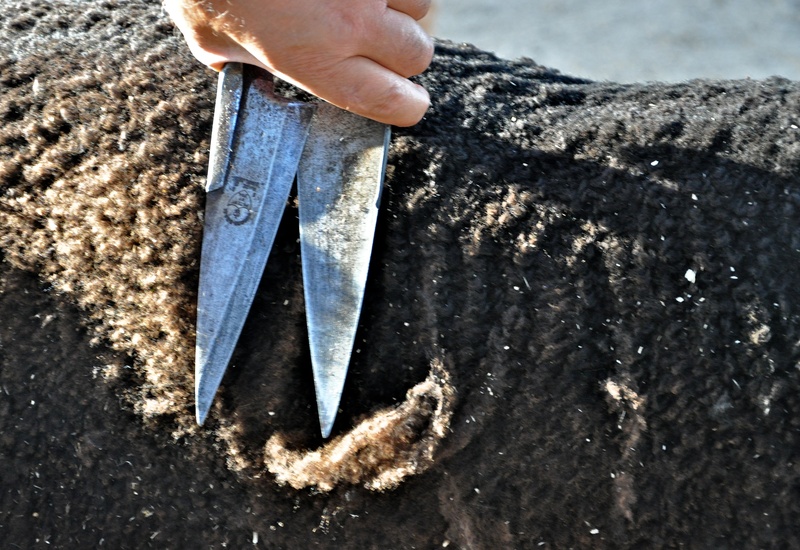 It just demonstrates what a docile and quite temperament the Zwartbles breed of sheep have. 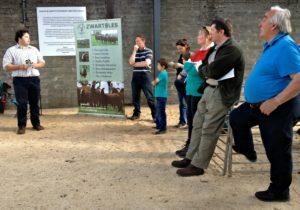 It was a very enjoyable evening had by all who attended and Tullamore mart kindly had their canteen open so that we could all have a bite to eat before our long drives home.